Hotel Sunshine town of Éxo Goniá . Azalea Houses town of Oía price per day from € 84 . Hotel Leta town of Thíra . Roubeti Village town of Mesariá price per day from € 81 . Orizontes Hotel & Villas town of Éxo Goniá . Art Hotel Debono town of Ágios Ioánnis . Villa Petros town of Kassiópi . 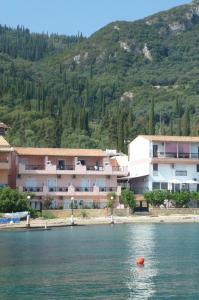 Apartments Corfu Sun Pool Side town of Gastóuri price per day from € 31 . Honigtal Farmland town of Dáfni . Bozikis Apartments & Studios town of Dáfni price per day from € 25 . Zaliki Boutique Hotel Thessaloniki town of Thessaloníki price per day from € 56 . Chorostasi guest house town of Parthenón price per day from € 60 . Cosmopolitan Hotel & Spa town of Paralía . Karatsis town of Asproválta . Orestias Kastorias town of Thessaloníki price per day from € 35 . 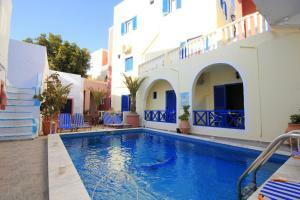 Diamond Apartments & Suites town of Koutouloufárion price per day from € 26 . Stelios town of Timbákion price per day from € 42 . Ermis Suites town of Ayía Marína price per day from € 30 . Golden Bay Hotel Apartments town of Mállia price per day from € 33 . Valley Village town of Mátala price per day from € 40 . 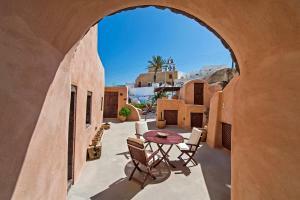 Mediterranee town of Argostóli price per day from € 68 . Dendrolivano town of Argostóli price per day from € 30 . Nikis Apartments town of Áno Garoúna . Avra Beach town of Aléxandros price per day from € 38 . Amalia Apartments town of Kariá . Kalestesia Suites town of Akrotíri . Rhodian Rose Hotel town of Ialisós . Atalos Villas town of Éxo Goniá . Panorama Studios & Suites town of Thíra . 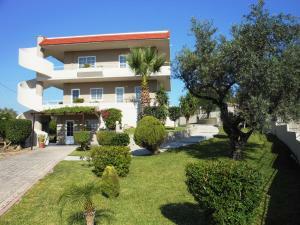 Villa Olive Grove town of Afántou price per day from € 41 .